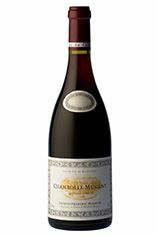 The Wine Advocate - Lightly-cooked cherry and beet root tinged with ginger and tamarind on the nose of Mugniers 2007 Chambolle-Musigny follow on a quite sumptuous palate underlain by fine tannins and finishing with admirable persistence. This displays flattering superficial sweetness one doesnt so often associate with Chateau de Chambolle, though it also misses the finesse or intrigue and floral or mineral dimensions one looks for. I would plan on enjoying it over the next 2-3 years. The Château de Chambolle-Musigny in the Domaine Jacques-Frédéric Mugnier has been in the Mugnier family since 1863. Admittedly at one point they had to fight a court case to prove that their house was the Château de Chambolle, as somebody else was (erroneously) claiming the honour. From 1950 the vineyards in Chambolle were contracted out to Faiveley (to 1977) and then Bruno Clair (to 1984), the latter selling the wine in bulk. 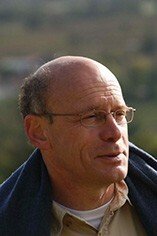 In 1985 Frédéric Mugnier, the 5th generation of the family on the property, took over, though he combined running the family domaine with his job as an airline pilot until 1998. Now he concentrates solely on the domaine, where consistency has improved as a result, and from 2004 has also taken back the Nuits St Georges Clos de la Maréchale vineyard, on lease to Faiveley since 1950. The Domaine is the second largest owner of le Musigny. Part was planted in 1948 and the remainder in 1962, so this is now an old vine cuvée thoughout. Just 20-25% new wood is used in this ethereal wine which is as sumptuous as any example of Musigny, despite Frédéric’s understated handling. The vines are run almost organically – no herbicides since 1991, no pesticides since 1997 and now only two treatments a year (against mildew) which are not organic. 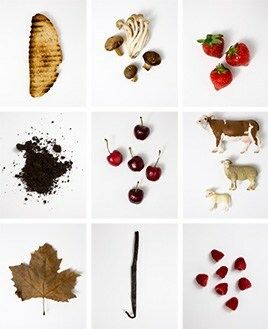 Frédéric is not an enthusiast for biodynamics however. A hint as to his philosophy appears on his website where he draws a parallel between the mature Glenn Gould finding ‘too much piano playing’ in his early work and the overworked winemaking evident in some Burgundy today. The grapes are sorted diligently by the pickers before coming to the cellar in small cases. 100% stalks are removed and the whole berries are then conveyed into vats. The wines are bottled after a second winter in wood without fining or filtration. The wines are rarely deep in colour but are brilliantly fragrant in bouquet and notably persistent on the finish. I mentioned once, while tasting at the domaine, that his wines had a sense of harmony about them. ‘That is the nicest thing you could possibly say to me about my wines,’ responded Frédéric.